Disclosure: I received all products at no cost to me as a member of Influenster. After a long dry spell, me and Influenster have reunited and it feels so good, my last two Vox Boxes included goodies from L'Oreal and Smashbox respectively (if you missed it, check out that post HERE) and then I got a beautifully packaged surprise for the trifecta - the much coveted recently re-launched fan favorites of Kat Von D's Saint and Sinner perfumes! The perfumes were off the market for eight years and recently re-launched due to fan demand with beautifully re-designed bottles. I wish we had been sent the full size bottles so I could show you all the intricate design. And because they smelled so great on me. This gourmand scent with heart of mandarin and caramel, is a candied floral, that represents Kat's (or any woman's for that matter) dreamy, romantic and alluring side. This gourmand scent that is a part sweet and part spicy represents Kat's (or any woman's) dark, sultry, and empowering side. A 'fragrant embodiment of the edgy, unapologetic and outspoken side of Kat Von D.
and it is VEGAN and NOT tested on Animals! 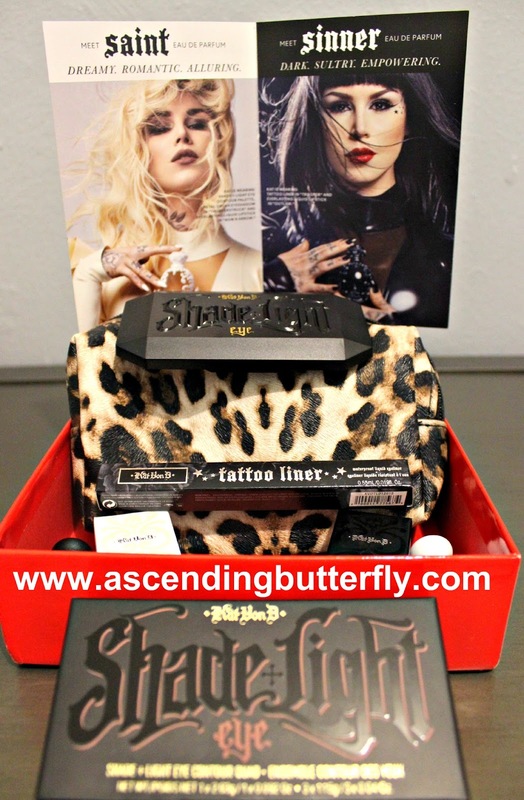 Above: I thought I would feature other Kat Von D goodies I have been digging including the tattoo liner and Shade+Light Eye Contour Kit, the makeup items are mine and were not included in the Vox Box, the Vox Box solely contained the perfume samples, the animal print cosmetics case is also my own and is not sold via Kat Von D Beauty, just some fun staging! Ƹ̵̡Ӝ̵̨̄Ʒ - Hit your nearest Sephora and spray Saint on one wrist and Sinner on the other (these fade a bit quickly and take a bit to fully project) and find out for yourself whether or not you are 'Saint' or 'Sinner' or a bit of both. Ƹ̵̡Ӝ̵̨̄Ʒ - Of course you can go the traditional wear Saint by Day and Sinner by Night route. Influenster definitely matched me with the right campaign on this one, I love playing with Scent, and always tend to throw traditional rules out the window, if I want to wear a 'light as air' scent in the winter and a spicy, warm scent in the summer then that's what I will do. I also love wearing some men's colognes over women's perfumes. So am I #TeamSaint or #TeamSinner - color me BOTH and not just in the sense of wearing one or the other, but I really loved mixing them both together, it gave them a bit more complexity. On the whole in terms of longevity and projection they did leave me wanting a bit more, I found that both faded on me fast and I had to re-apply a bit sooner than I am used to. Saint is way more subtle than Sinner obviously. I consider it a perfect after shower, as an a.m./morning post-shower scent, it won't linger long and takes awhile to project so when you walk into the office you won't be offending anyone's nose or triggering allergies. Once you find yourself putting your nose to wrist because you can't detect it, you may want to re-apply. Sinner is also not overly spicy, it's way warmer than Saint, but not super spicy, and because of it's shorter projection and longevity the beauty of it is having your special someone detect it mostly when they are closer to you which can certainly be nice. 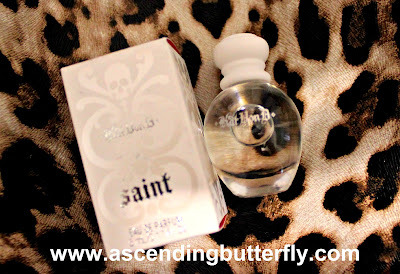 I love reading the reviews that are out there particularly on fragrance reseller sites, they are wildly mixed with most complaining that Saint was too sweet and Sinner wasn't Spicy enough, but remember my butterflies, scent and beauty are both very much SUBJECTIVE. Scent works differently with our body chemistry, something can smell one way on someone and entirely different on somebody else, so try these on first, and then decide. I do not find Saint 'toothache sweet' and thought Sinner was just right on the warmth and spice, a few reviews equate Kat Von D Beauty's "Sinner" to being "Opium" reminiscent. I do not find Sinner nearly as warm and spicy as Opium, but for those of you who have smelled both Opium and Opium's scented body powder, (which smell just slightly different from each other to my nose) Sinner can be reminiscent to Opium POWDER on it's drydown. Overall: I did like both Saint and Sinner - match them to your mood on a given day, or do what I did and mix them both together! 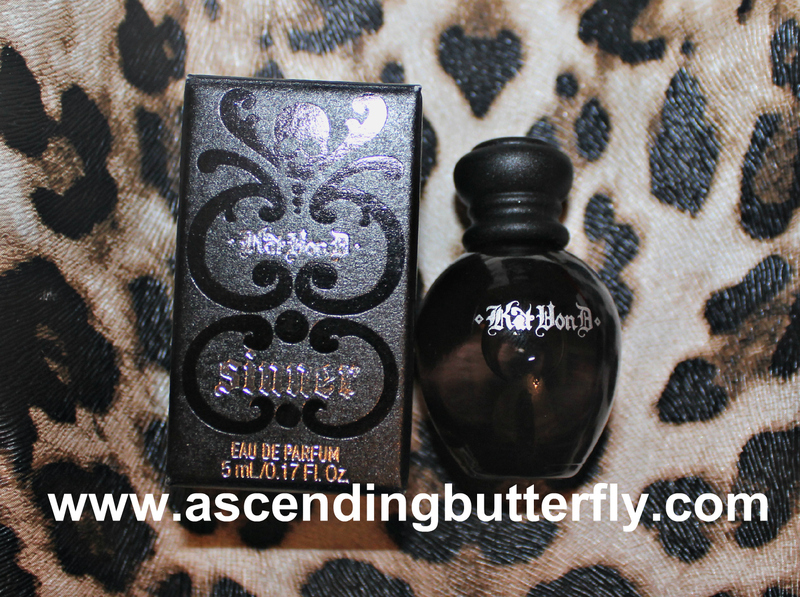 So tell me butterflies have you tried Saint or Sinner yet, if so, which scent are you? What is your favorite scent - do you rotate but that have that particular favorite you keep reaching for more than others? Which is it? What are the notes? I need to get some of this stuff for my GF. The name alone perfectly describes her. Thanks! I so need to figure out which scents will work great for me or not, love the descriptions, it totally sells me! @Brandy - EXACTLY! As much as I love Scent, I don't cover it regularly because it is so subjective, and I personally feel a person just needs to try it on. Try before you buy so there's absolutely NO remorse. I love a bit more complexity, even in my 'lighter' scents and I am quite particular when it comes to floral and prefer scents that use it sparingly. If you do try out Saint and Sinner personally please let me know which one YOU preferred. I need this box! I am a huge fan of the Kat Von D products. @Kelly Remember Influenster is NOT a subscription box, you need to fill out a profile, and keep your preferences updated and once selected for a box use proper disclosures, Influenster is for all influencers, not just bloggers, but you do need to join first to start the process. You can't 'pay' for an Influenster box like with a subscription service. Not gonna lie, lol totally jealous of your Influenster box! I love KatVonD! I would love to test the perfumes but the makeup has me swooning! @FBF - I go through "Influenster Envy" all the time, I go through long dry spells, but when they love me they love me back hard with stuff I really love, so it is always worth the wait! I'm on the look out for new perfume and these sound delightful. Influenster has come a long way. @Anjanette - I love playing with new scent too, and am happy to have Saint and Sinner to put into my rotation! Influenster does a great job bringing me a mix of new stuff and established brand favorites! I didn't know Kat Von D had new fragrances out. I need to get out there and take a sniff! I need to check the new fragrances from Kat Von D. I love the sweet and spicy scents. 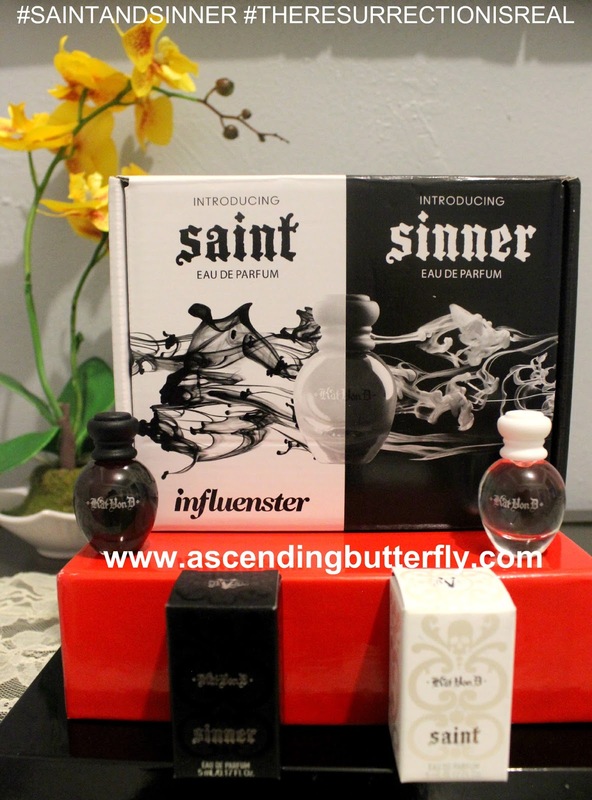 I got this Saint and Sinner perfume from Influenster also and I LOVE Saint the best! It smells AMAZING!! I need to try these perfumes first before I commit to buying. Sometimes the perfume smell different when it is on your skin. I don't have any subscription box yet. I am still looking around for the perfect one though. I'll check on this Influenster box too. @Dragon - Please see the comment above and my most recent post, Influenster is not a subscription box you can pay for, it's sent to members based on what they have completed in their profile. So definitely sign up first. And I totally agree, go to shephora and try on both scents first, it changes with your body chemistry and you will want to know how they smell on YOU before you commit. Please come back and let us know which scent YOU liked best on you! I seldom wear perfume because of allergies and my sensitive nose, but these fragrances sound lovely! Even though I seldom wear perfume, I'm sure my sister would love to try it out. Try Saint, it's the lighter of the two and I did not react to it at all and sometimes my nose can get sensitive too. If you do try it, let me know how it worked for you, and if your sis liked it as well. I love Kat Von D's products but I haven't had the chance to try this Sinner and Saint perfume! It sounds amazing! This is a great review! Thanks for sharing your thoughts! Would love to give this a try! I LOVE Kat VonD and am a huge fan of not only her art, her tats, and her words, but her makeup collection as well. I splurge every once in a while and have yet to be disappointed. I can't wait to check these out. I need a new perfume and I have heard this smells amazing. What an awesome influenster box! I love Kat Von D! It's so exciting when she launches new product lines. I am growing ever curious of these scents. I need to try them out soon. @S. Graham - Hit your nearest Sephora store and give these scents a try, let us know if you turn out to be all 'Saint' or all 'Sinner' or a mix of both! I love influenster, but didn't get chosen for this campaign. I don't wear a lot of scents, so that's probably why. However, I love patchouli and vanilla, so I am guessing that Sinner would probably be for me. It almost sounds like a retro 70's fragrance. @Alicia - Patchouli Definitely still gives off those 60's and 70's vibes. Head over to your nearest Sephora and try them both on. Then try them both mixed together on your upper arm and see how you like that! 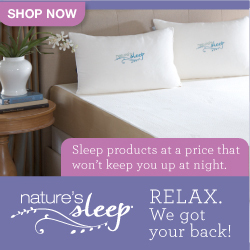 Let us know if you liked them and which one you purchased. @Veronica Sorry to hear it, for me scent and music are powerful in terms of altering my mood and I can't imagine going one day without either one! Wow that Influensternox sounds absolutely awesome. There are lots of exciting goodies to watch out for. Love to try them out! Scent really does work differently with our bodies. I had a friend once who smelled so good when she wore one scent, but it wasn' the same when I did at all. The Kat Von D Beauty supplies look great. I haven't tried the brand (yet!). @mail4rosey Don't I know it, I have several scents that I am attracted to but do not smell as good on me as they do on others. Kat does not test on animals and her products are cruelty free so they are a definite win/win. Sounds lovely! I first liked Kat Von D when she came on Miami Ink, and I've been a fan ever since! I've never tried these though! @Xoneia - Same here, I enjoyed watching Miami Ink and was happy when she joined the team. Please keep us posted if you try these scents we would love to know what you think! These sound great! I am so going to check out these scents! I have always loved Kat as a TV personality. I am really excited to try her beauty products. 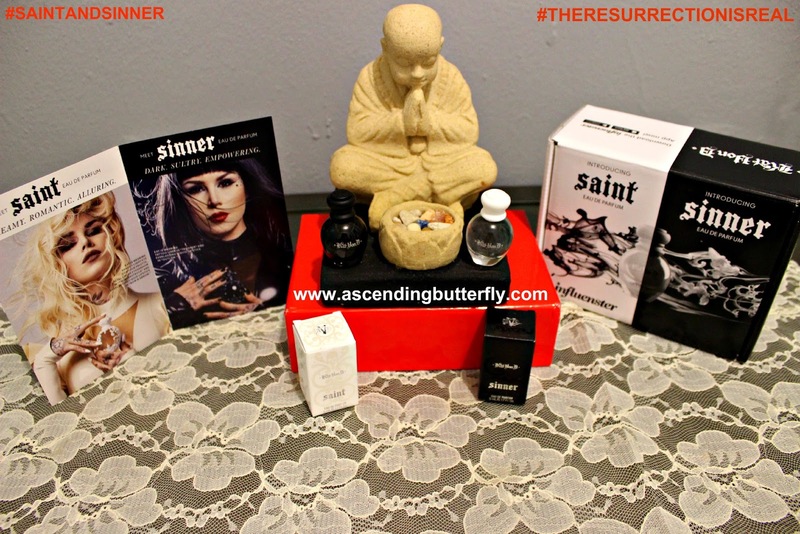 The Saint and Sinner scents sound like the best of both worlds. @Melanie Kat's line is great, I enjoy her makeup and am really glad this campaign gave me the chance to try her fragrances as well. I haven't tried any of those scents yet. I've been using the same scent for years. :) I would like to try the Saint though. Sounds like it smells good! @Lynndee I would love to know which one! If you do get to try out Kat Von D Beauty's line of fragrances, let us know which one worked best for you! This sounds fascinating. I've never signed up for samples like this and I'm not familiar with those scents you mentioned. I like Tabu and a line of perfume called Bodycology, with two scents I like, including Brown Sugar Vanilla and Blackberry Vanilla. Oh i have never heard of this before. It looks so great. I will definitely try this. I haven't seen any of these, but they all look great. I love trying new scents so I'm going to be checking these out. Same here @Amber! I love experimenting with scent. I tend to customize my daily signature lip and my scent. I love the different boxes you can get from Influenster. 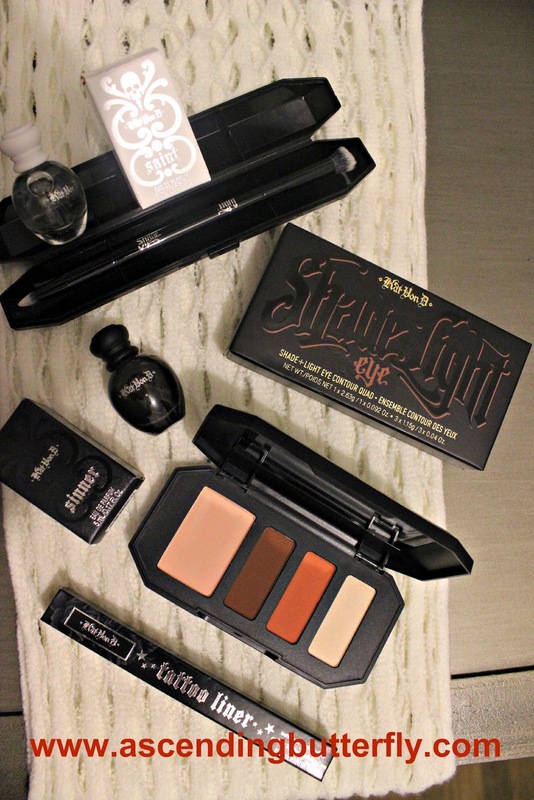 Kat Von D products are awesome! That's some pretty amazing packaging - if the scents are as nice as the boxes, it's gotta be great. @Gabriel - The scents and their packaging are both definitely great. These sound like some fancy scents! Love the contrasting names. Makes them alluring! Saint would be my favorite scent out of the two. I love collecting perfume. I recently have been getting rid of the ones I haven't used and I have room for more. I need to update my influencer profile for the next time they do fragrance reviews.